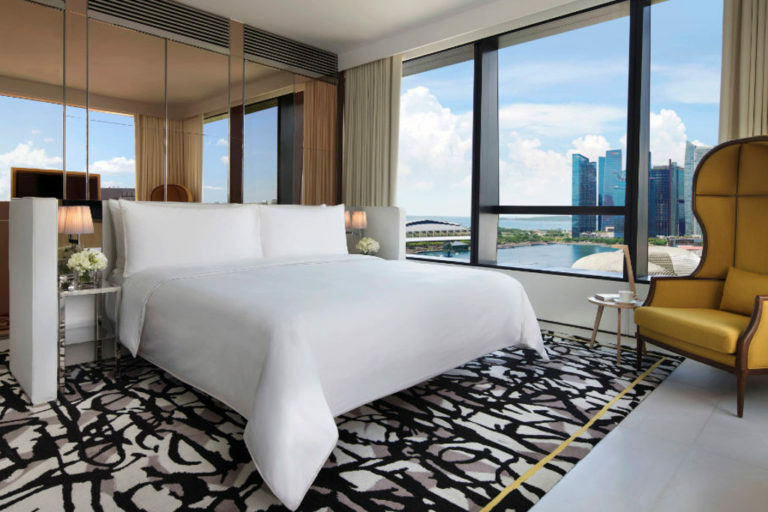 Make your dining and staycation reservations early and party through National Day 2018 in style with your loved ones. Alternatively, order up a storm and celebrate SG53 at home! 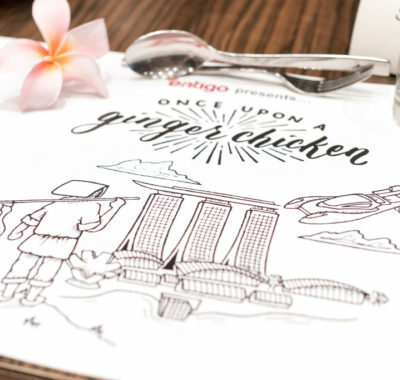 Restaurants and hotels around town have already started dishing out National Day 2018 dining promotions. 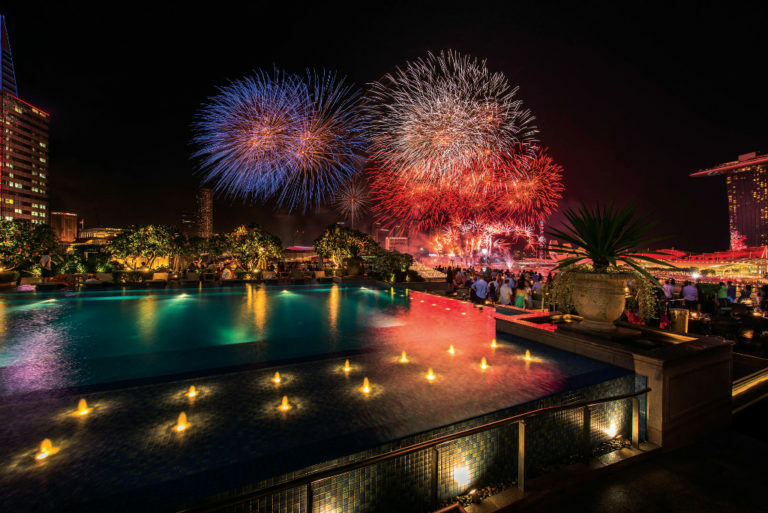 Some also come with complimentary fireworks views loved by both the young and young-at-heart. 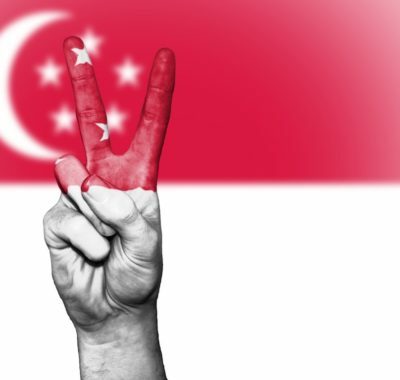 With this year’s National Day Parade (NDP) themed “We Are Singapore”, what better way to celebrate than by doing what Singaporeans love best? Given extra pyrotechnic displays at NDP 2018 rehearsals and previews, you don’t even have to wait till 9 August itself to start wining and dining. Here’s something else to consider. National Day falls on a Thursday this year, but the kids do enjoy a school holiday the following day. So for you working Dads and Mums, why not take Friday, 10 August off work too? 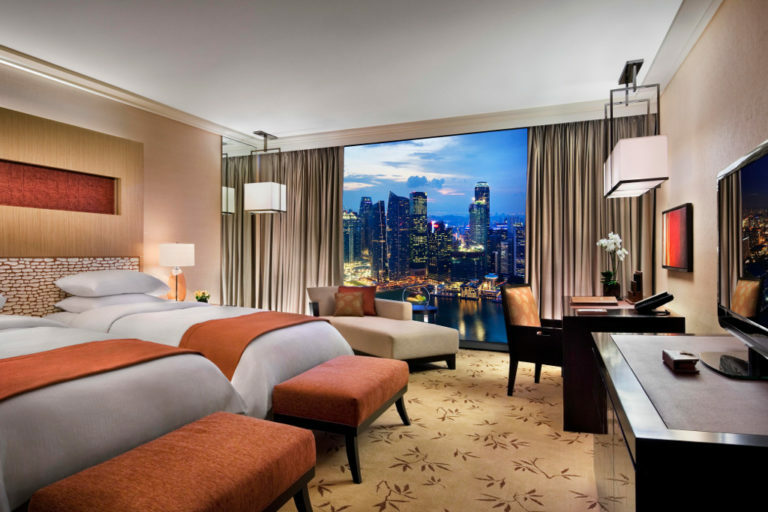 Make it a four-day weekend and check into one of the super staycations listed below. 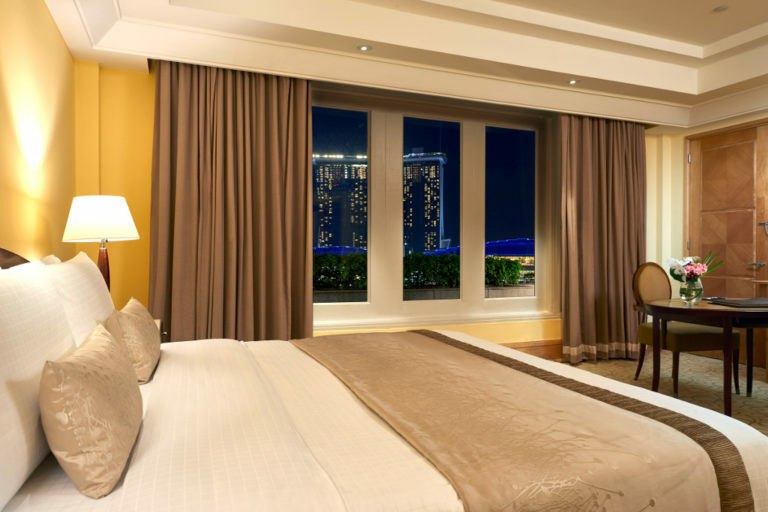 Book rooms facing the right direction and enjoy a spectacular view of the fireworks away from the crowds! For unbeatable views of the parade and fireworks, head to 1919 Waterboat House for a three-hour bottomless al fresco dinner on National Day. Great eats include fresh seafood, assorted canapes French-influenced mains and classic desserts. 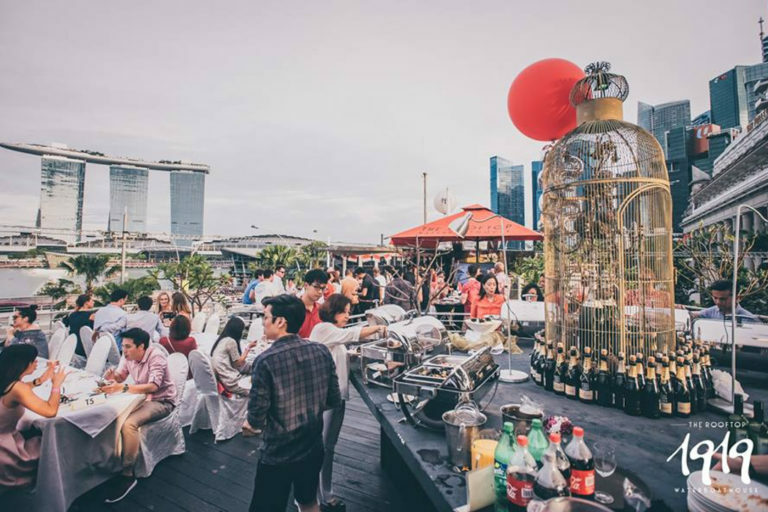 Adults can toast to Singapore with free-flow premium red and white wines and beer. 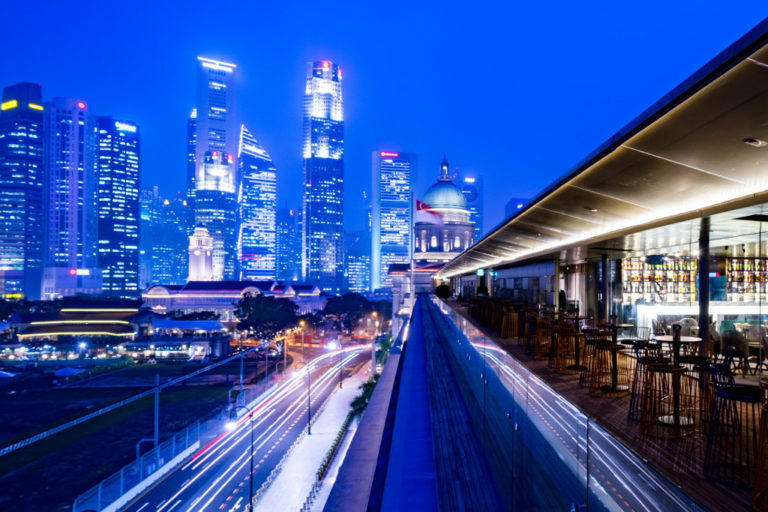 In addition, on every Saturday evening leading up to National Day, The Rooftop is showcasing Saturday Free-Pour ($53++ per person, minimum two to dine), two hours of free-flow wines, beers, soft drinks and juices. It’s paired with a specially curated birthday platter of locally inspired bar bites, including a Chilli Crab Pizza! 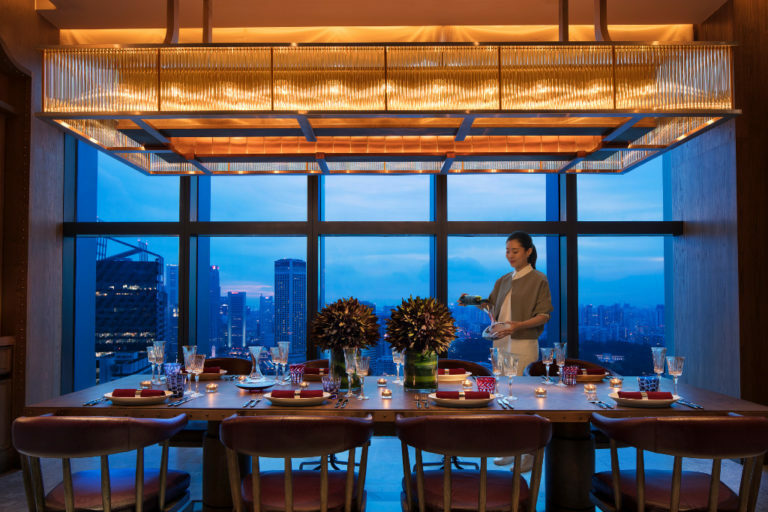 Chef Josephine Loke of 665°F has curated a family sharing-style dinner perfect for family and friends to gather over while taking in the fireworks display from lofty Level 38. Menu highlights include locally inspired starters such as Chicken Rice Arancini, Moroccan-spiced Ras El Hanout Lamb Leg, Pastrami-spiced Black Onyx Ribeye Fillet and Roasted Barramundi. Adults can top up $30++ to enjoy unlimited servings of Delamotte champagne, red and white wines, and Andaz Pale Ale. Indulge in a seafood-centric evening as Angie’s Oyster Bar presents a bottomless spread of signature delights. Enjoy free-flow fresh oysters, pots of mussels and clams, and a selection of sharing appetisers and desserts. 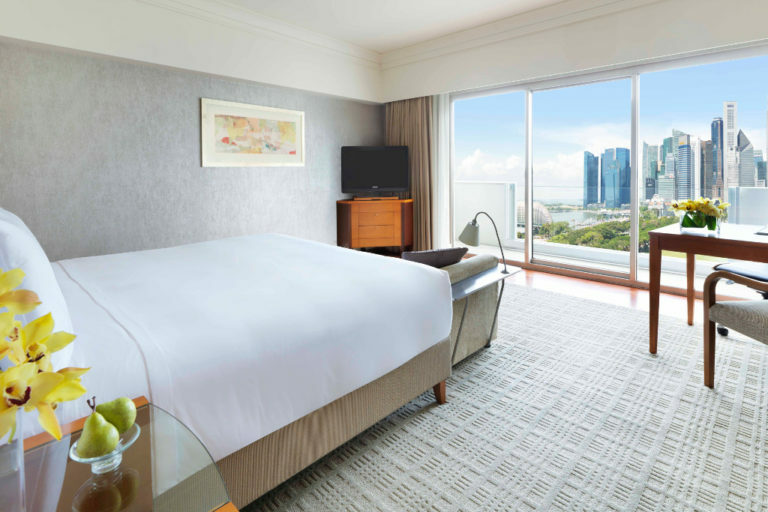 In this setting 45 floors above Marina Bay, you get to soak in the excitement of the parade below even tummies are fulfilled. If you’ve got a babysitter for the evening, your meal ticket also grants you complimentary entry into the glitzy Empire Sky Lounge After-Party. 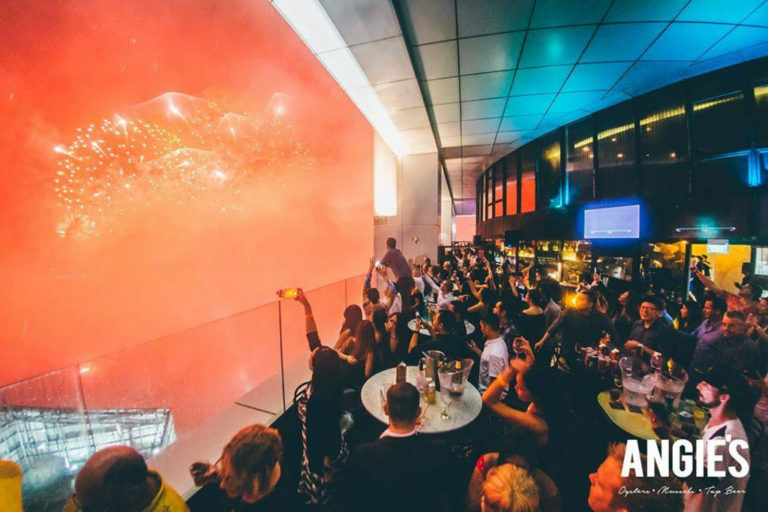 Dine on Italian cuisine at Aura while enjoying an equally spectacular view of the fireworks across the city skyline from the elegant setting atop National Gallery Singapore. Exclusively available this National Day, the five-course set dinner menu comes complete with amuse bouche, dessert, coffee and tea. Menu highlights include Japanese Eggplant with Truffle, Sea Urchin Tortelli, Kagoshima Wagyu, and Sable Fish. 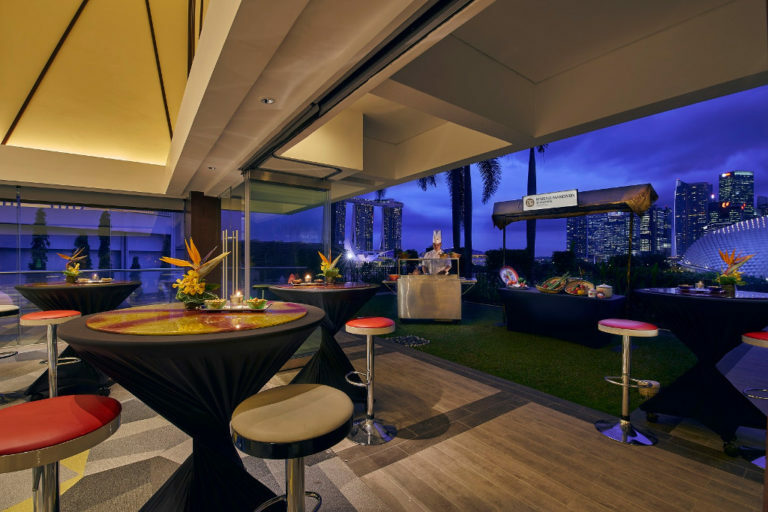 Book early to get your preferred table at Aura Restaurant, The Padang Deck or Sky Lounge Indoors. Feast to your heart’s content on the classic British roast. Begin with chef’s special starters such as Spicy Salmon Tartare and Tamarind Spiced Chicken Wings. 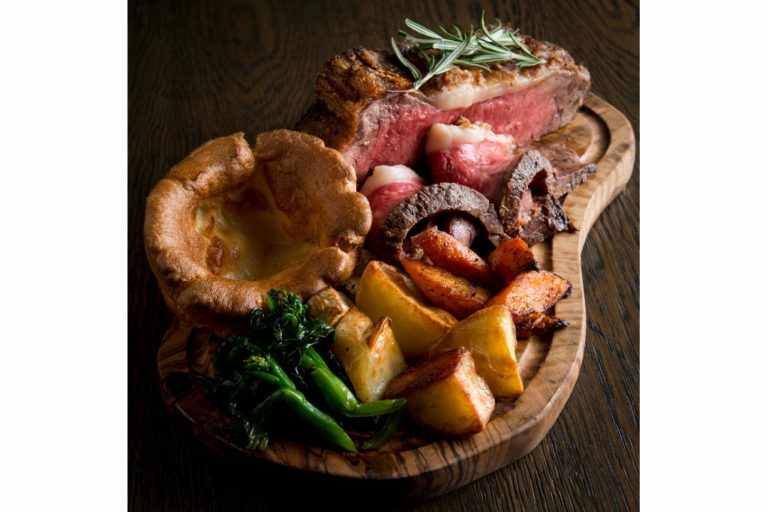 Then dig into unlimited servings of Angus Beef Striploin, Dingley Dell Pork Rack on the bone and Spring Chicken on the bone, all served with Yorkshire pudding, red wine gravy and seasonal greens. Homemade soft serve ice cream ends the royal feast on a sweet note. 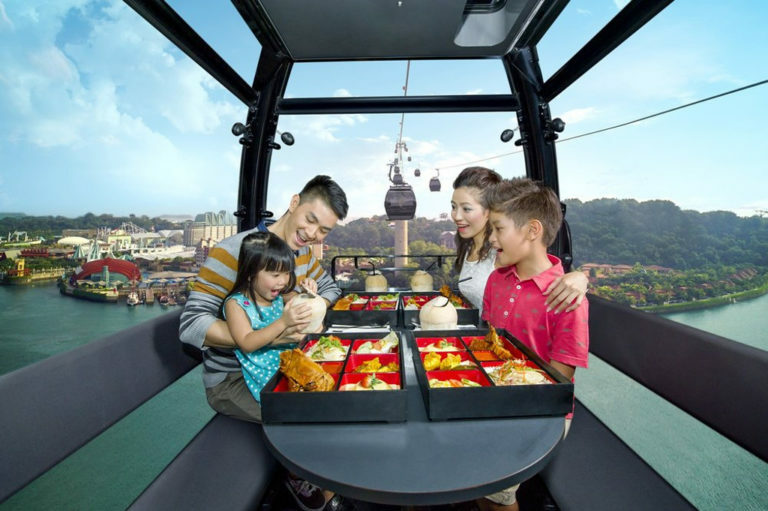 Savour a delicious bento dinner set featuring seven of Singapore’s favourite dishes on a one-hour cable car ride. Highlights include Hainanese Chicken Rice, Wok-fried Chilli Crab Meat with Mini Mantou and Colour Me a Rainbow cake. Indulge in a combination of local flavours and glorious views of the harbour. The experience usually costs $65++ per person, with each cabin taking up to four diners. You could even win one of 10 prizes, including a trip for two to Switzerland, in the One Great Escapade Lucky Draw! 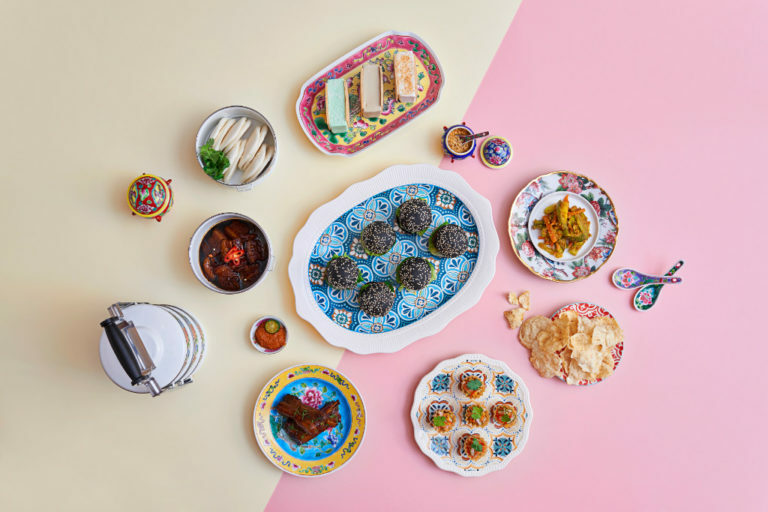 To mark Singapore’s 53rd birthday, award-winning Singaporean Chef Shermay Lee is teaming up with Conrad Centennial Singapore’s Chef Alex to present three new signature Peranakan dishes to be featured at Oscar’s buffet line this August. Start with Stewed Ginger Garlic Pork Belly with Steamed Buns, a take on the traditional Kong Bak Bao. Then move on to finger-licking-good Nonya Chicken Curry Pie Tee. Last but not least, the enigmatically named The Black Gold – a Buak Keluak Beef Burger! Tuck into the best of local culinary traditions and flavours at Azur’s special heritage buffet. Start by diving into succulent seafood on ice, including traditional favourites Flower Crabs and Gong Gong (sea conch). Then feast on hawker bests such as Bak Kut Teh, Katong Laksa, Kueh Pie Tee, and Chilli and Pepper Crabs. A live station will even toss up fresh Oyster Omelette at your request. Ice Kachang, Durian Pengat and Rainbow-coloured Bread with local ice cream flavours like Gula Melaka and Bandung complete the feast. 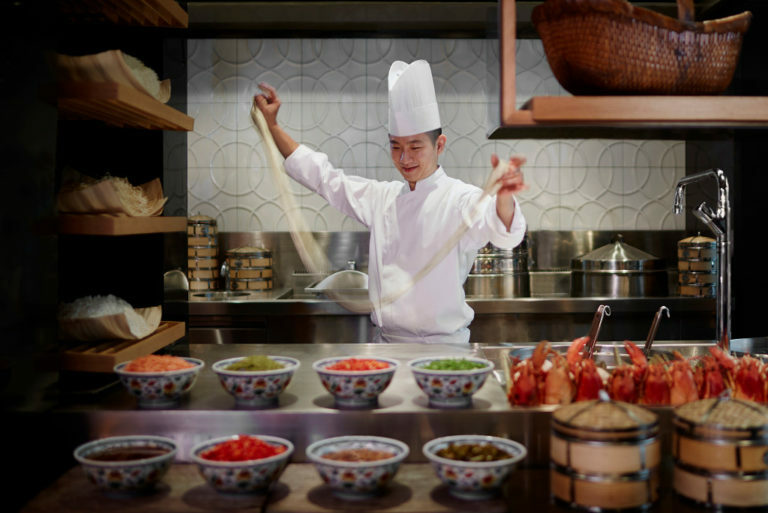 Crystal Jade La Mian Xiao Long Bao presents five tongue-tingling Szechuan specialities this National Day season. Whet the appetite with Sautéed Spicy Tea Tree Mushroom, Sautéed Spicy Pork Collar with Potato and Lotus Roots, Chongqing Spicy Noodles, Sautéed Spicy Sweet Sprouting Cauliflower, and Pan-fried Mala Pork Buns. DBS/POSB cardholders and Jadeite members enjoy $1 off each dish. Sri Lankan crab fans should head to Crystal Jade Kitchen, where the large and meaty crustacean will take the spotlight. 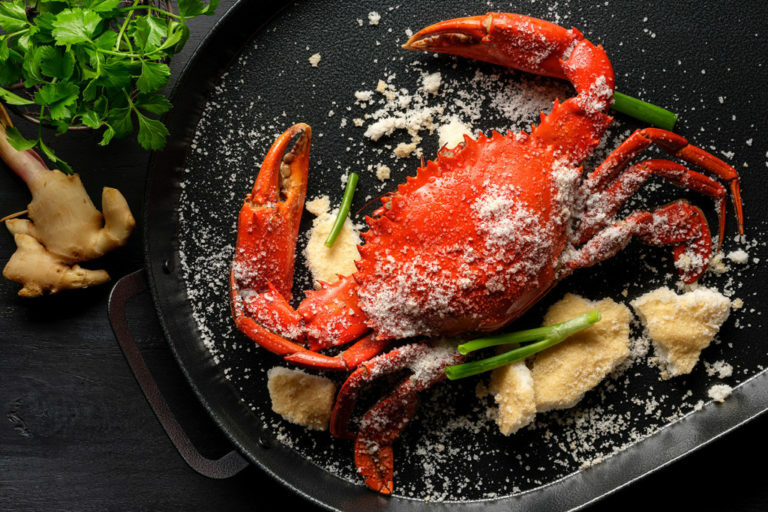 Choose preparation styles from Chilli Crab, White Pepper Crab, Steamed Crab with Chinese Hua Diao Wine, Sautéed Crab with Ginger and Scallion, and Salted Egg Yolk Crab. From 6 to 12 August, DBS/POSB cardholders and Jadeite members can enjoy each at $53++ with a minimum spend of $50. 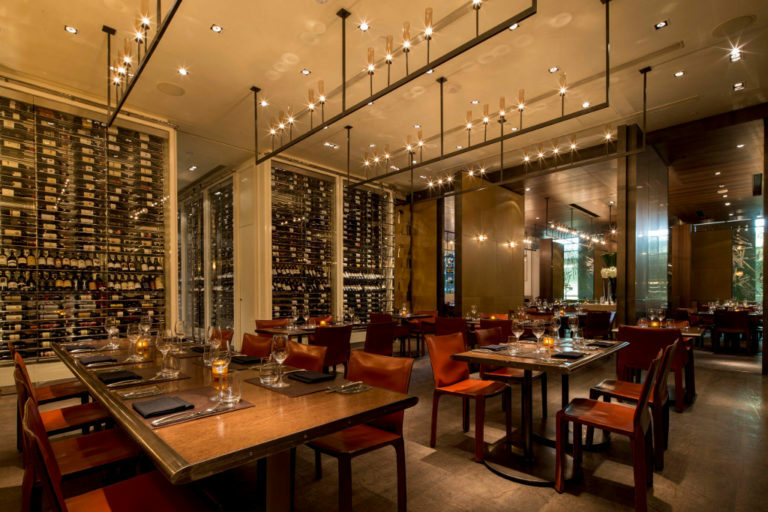 It’s history in the making as CUT by Wolfgang Puck presents its first four-course local-inspired lunch this National Day! 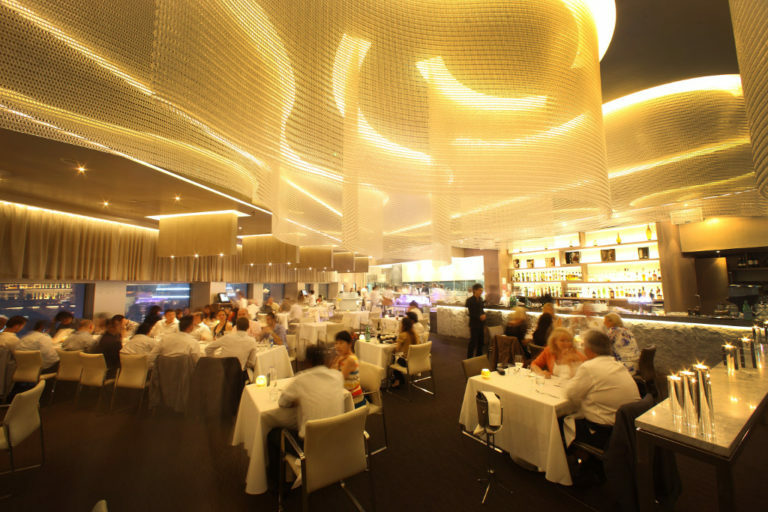 The one-Michelin-star restaurant will dish out your choice of starter, such as White Carrot Cake or Gado-Gado. Entrées range from U.S.D.A. Prime Beef Char Kway Teow to Prime Pork Spare Rib Bak Kut Teh. Choose to accompany the meal with a side of Roasted Pork Belly with Chinese Spicy Mustard or Mapo Tofu with Minced Beef, before ending on a high with Ice Kachang or Durian Chiffon. Trendy Mod-Asian diner Ding Dong pays tribute to Singapore with a series of unique renditions of classic Singaporean dishes. 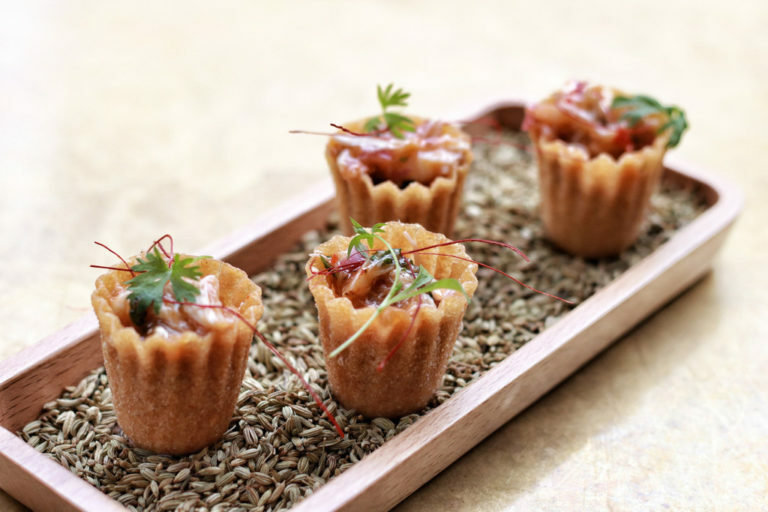 These include Singapore Chilli Crab Kuih Pie Tee, and Otah Otah Stuffed You Tiao with Kaffir Lime Mayonnaise. Next up, Duck Leg in Satay Sauce with Ketupat, Beef Short Rib Buah Keluak, and Lamb Shank Sauce Merah. For dessert, dig into Durian Alaska, a marriage of the classic Baked Alaska and our nation’s beloved king of fruits. 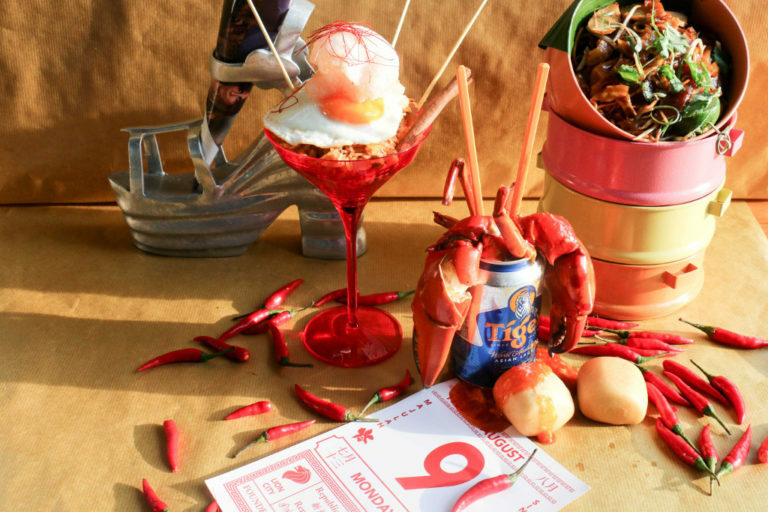 Arguably Singapore’s favourite crustacean is on show this National Day at Asian Market Café. 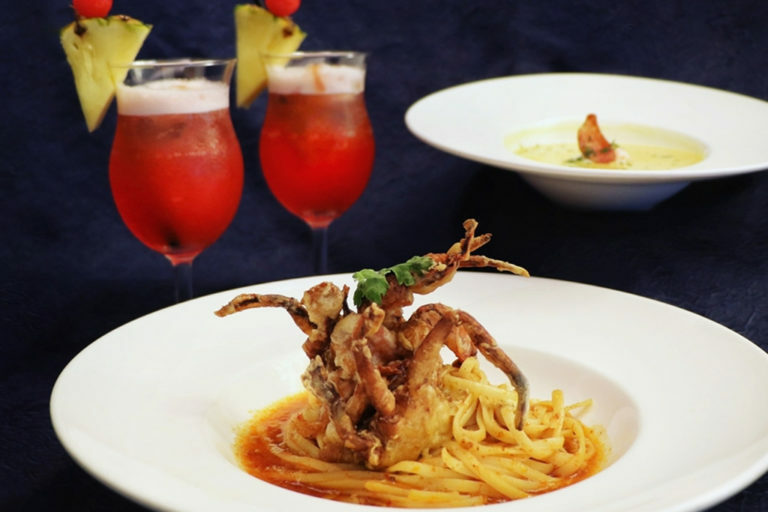 To begin with, tuck into a delightful array of free-flow crab dishes. Timeless classics include Salted Egg Yolk Flower Crab, Chilli Mud Crab, Deep-fried Soft Shell Crab and Crab Tempura. Then try an innovative spin on local favourites such as Crab Stick Murtabak and Crab Cake Laksa. A glorious spread of authentic Pan-Asian cuisine, live action stations, appetisers and dessert sections complete the dining experience. Champion of local cuisine Chef Damian D’Silva represents various ethnic groups in a series of National Day weekday set lunches. Each week in August, menus featuring family recipes are designed for two diners, including two desserts and locally inspired drinks. Heritage dishes featured are Braised Pork Trotters with Mooi Choy, Nasi Minyak with Lamb Rendang and Sayur Lodeh, Dry Goat Curry with Briyani and Dhalcha, Nasi Ulam, and Eurasion Birthday Noodles. Feasting on local hawker dishes while watching a live screening of the NDP is a fitting way to celebrate our country’s birthday. Third-generation hawker Michael Ker from Kway Guan Huat Joo Chiat Popiah & Kueh Pie Tee makes an appearance to showcase his family recipes. Other highlights at the Heritage Buffet include X.O. Fresh Mud Crab Noodles, Laksa, Hainanese Chicken Rice, and a serving of Malay Style Curry Fish Head for each table. Enjoy a heritage buffet dinner spread this National Day at The Clifford Pier. Diners get complimentary access to the al fresco deck to view the fireworks display. Furthermore, New Ubin Seafood’s co-founder Pang Seng Meng joins hands with Executive Sous Chef Zacharie Ong to elevate ‘zichar’ favourites. 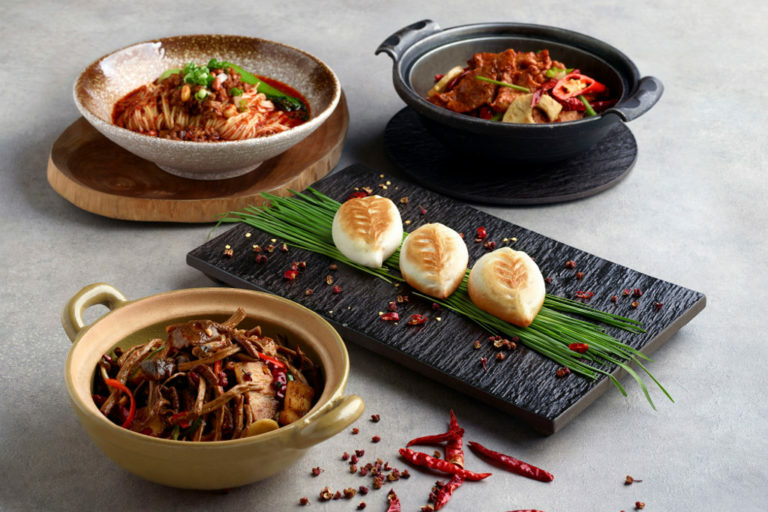 Dishes ($26++ per dish) to be served at The Clifford Pier this August include Egg Foie Gras, Angus Beef with Heart Attack Fried Rice, and an exclusive The Pier Hokkien Mee. Travel back in time this National Day at dining destination The Garage at Singapore Botanic Gardens. Challenge the kids to traditional childhood games – flipping country erasers, chapteh, hopscotch and five stones. Hungry? Botanico features a one-day-only National Day Exclusive Communal Brunch Menu. Look forward to dishes such as Iberico ‘Chee Cheong Fun’ and Red Bass XO Conchigile. Botanico and Bee’s Knees at The Garage are also offering National Day a la carte specials from 1 to 9 August. Menu highlights include ‘Laksa’ capellini, Beef Rendang Pizza, Lemongrass Panna Cotta and Chendol Colada. Tuck into a spread of Singaporean street food such as Chilli Crabs, Char Kway Teow, Laksa and ‘Hae Mee’. There’s also Chicken Rice, Fried Carrot Cake and other delicacies. On 9 August, besides a live screening of the NDP, diners also enjoy 50% off adult and child prices at both lunch and dinner. You even enjoy a one-for-one promotion on Mondays and 50% discounts every Wednesday! Also back by popular demand are the $5.30 National Day Set Meals at Wave café from 6 to 12 August. For a laidback National Day celebration, head to a Harry’s near you and tuck into local flavours with a twist. Must-tries include Laksa Popcorn Chicken served with a fragrant laksa mayo, Otah Toasties and Harry’s juicy Signature Chicken Wings. Then toast to our nation’s birthday with Harry’s version of the Singapore Sling. 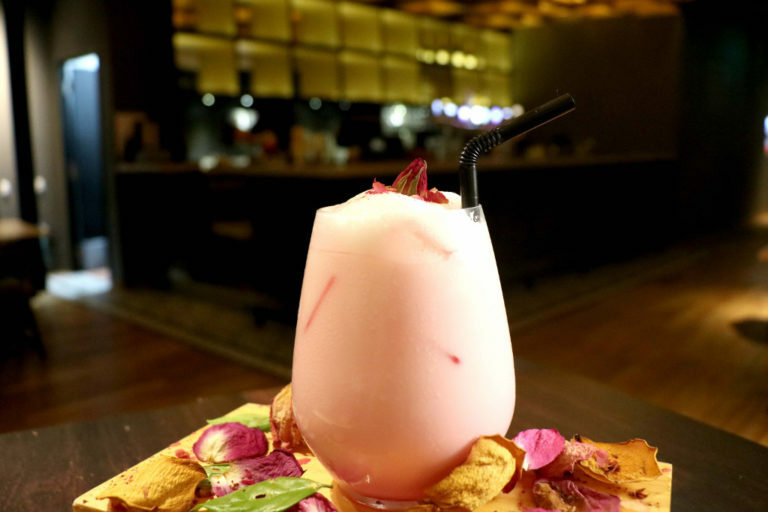 For something different, try a boozy take on a Singapore favourite with Bandung Cino. Or go with signature cocktail, Harry’s 1992, considered a ‘die die must try’ among loyal patrons. 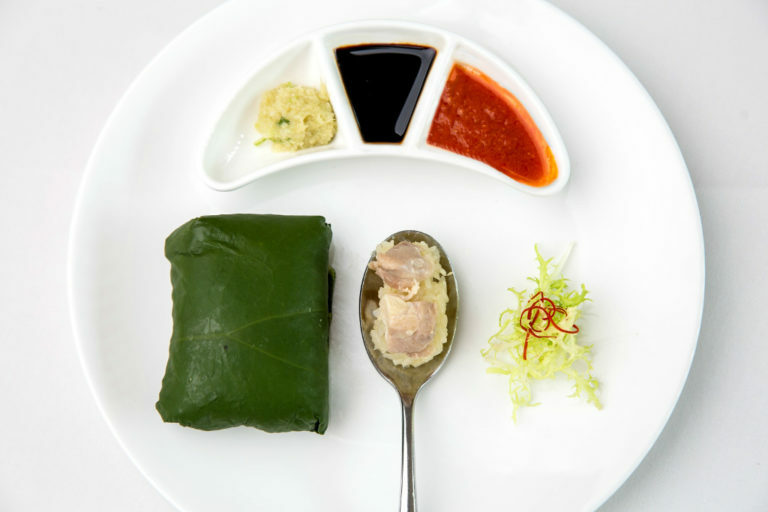 Hotel Fort Canning introduces a gourmet twist on two local favourites this National Day. 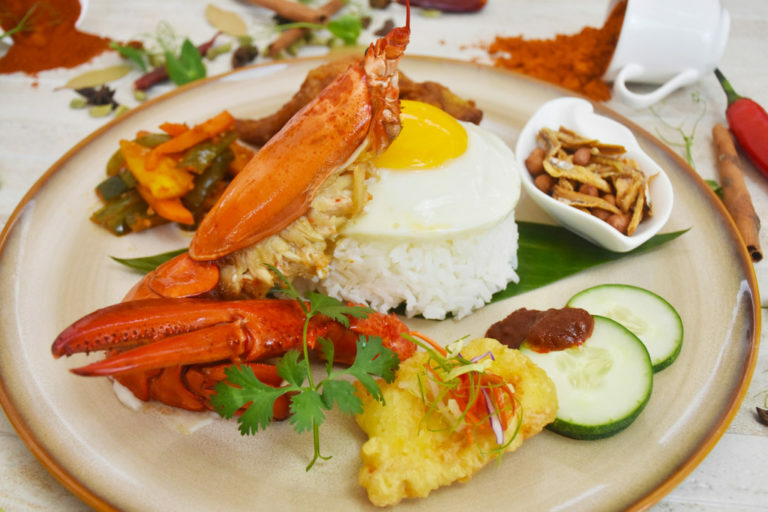 Lobster Nasi Lemak features succulent lobster, alongside crispy fried chicken and spice-infused fish, with a specially concocted spicy sambal sauce. And cooked to tender fork-pulled perfection, the Giant Beef Rib Rendang that’s accompanied by Executive Chef’s house-made rendang sauce. 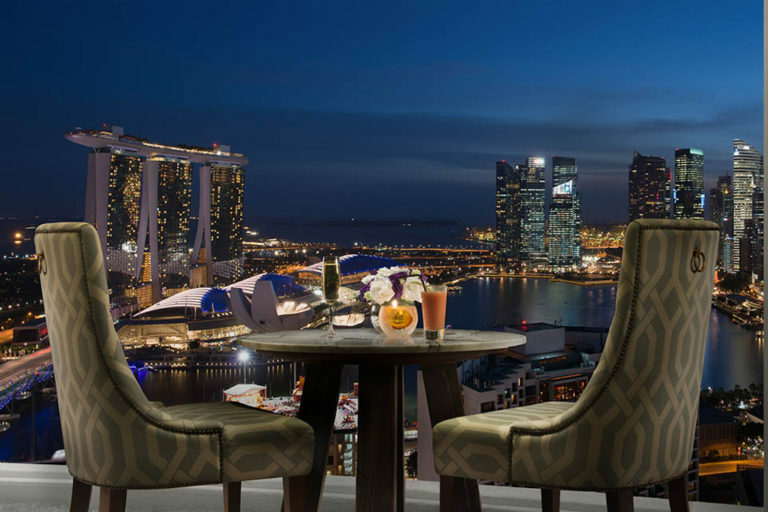 After dinner, head to the Tisettanta Lounge for two Singapore Slings for the price of one. What better way to mark the date! 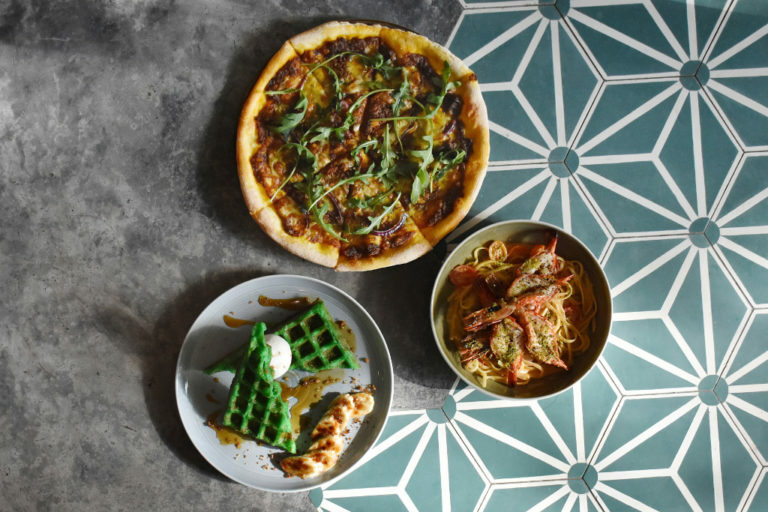 Paying homage to 53 years of cultural harmony, Jamie’s Italian is serving up dishes with a uniquely Singaporean spin. 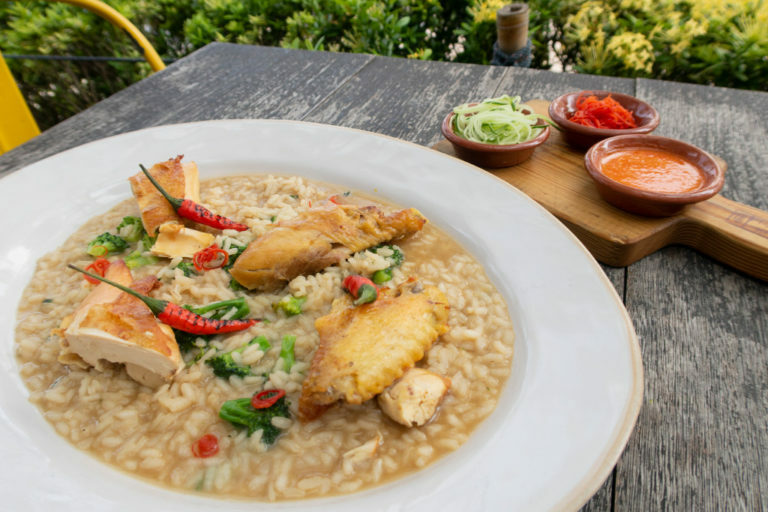 For starters, diners can look forward to Singapore Chicken Rice Risotto from now till 12 August. In addition, a special dish will be introduced each week. Expect Nasi Lemak Pizza, Red Snapper and Devil’s Curry, Tandoori Baby Chicken and Slipper Lobster Pasta with Chilli Crab Sauce. It’s a great reason to gather family and friends at Jamie’s Italian’s family-friendly outlets! The vibrant Mexican joint overlooking Marina Bay will be serving an all-you-can-eat-and-drink buffet of contemporary Mexican dishes. Dining in the intimate al fresco area also provides unobstructed views of the fireworks and aerial displays. After dinner, enjoy complimentary entry into Empire Sky Lounge After-Party. Also, from now till 8 August, Lower East Side is presenting DUSK ($53++ per person). 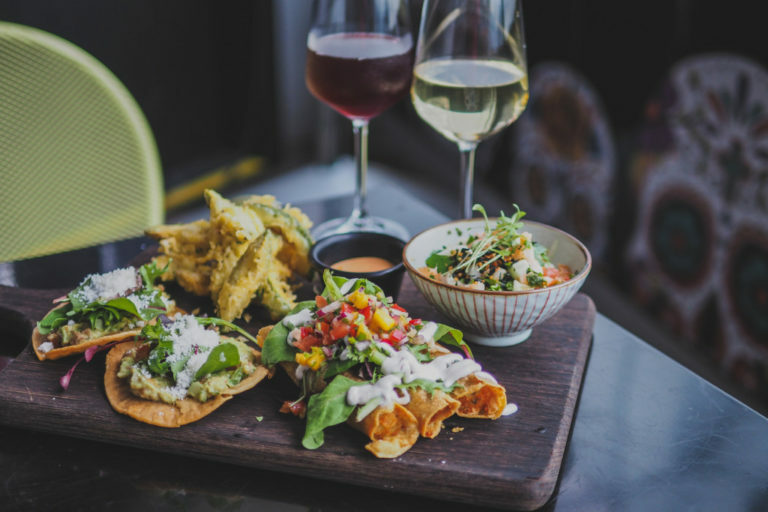 This comprises two hours of unlimited Frozen Margaritas, beers, and selected wines, and a complimentary curated sharing platter. Savour unlimited selections of fresh seafood and a melting pot of local cuisines at Melt Café. Specialities include King Prawn Laksa, Kueh Pie Tee Cups and Roasted Suckling Pig with aromatic six-treasure rice. Desserts range from ‘Majulah Singapore’ Strawberry Lychee Cake to Jackfruit Walnut Bread and Butter Pudding. Kids will love the Dark Melted Valrhona Chocolate Fountain and range of homemade ice cream with freshly baked waffles. At the al fresco garden, the Durian and Fruit corner featuring Mao Shan Wang durians beckons durian lovers. 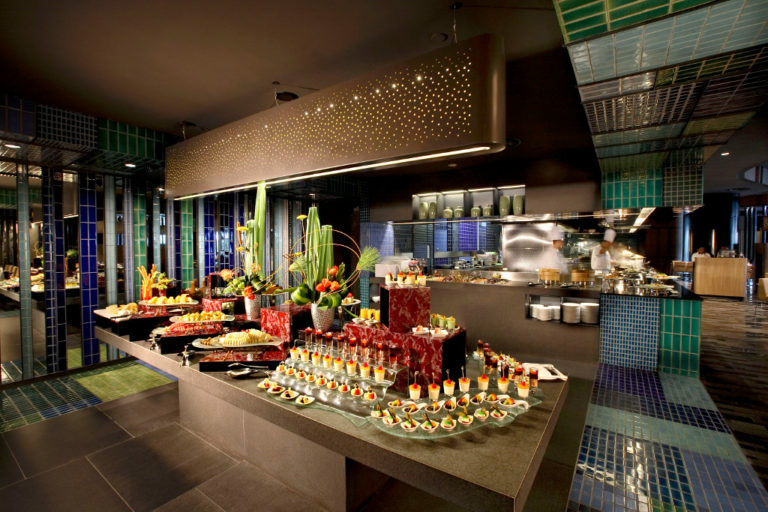 Gather family and friends this National Day for a one-night-only medley of premium Singapore delights at RISE. These include Black Iberico Pork Char Siew, Wok-fried Slipper Lobster with Salted Egg Yolk, and the quintessential Singapore Chilli Crab. Afterwards, stroll to the Marina Bay waterfront for the fireworks. What’s more, if you happen to share the same birthday month as our nation, your party of up to five can enjoy a buffet spread of international classics at $53++ from Sundays to Thursdays all month long! 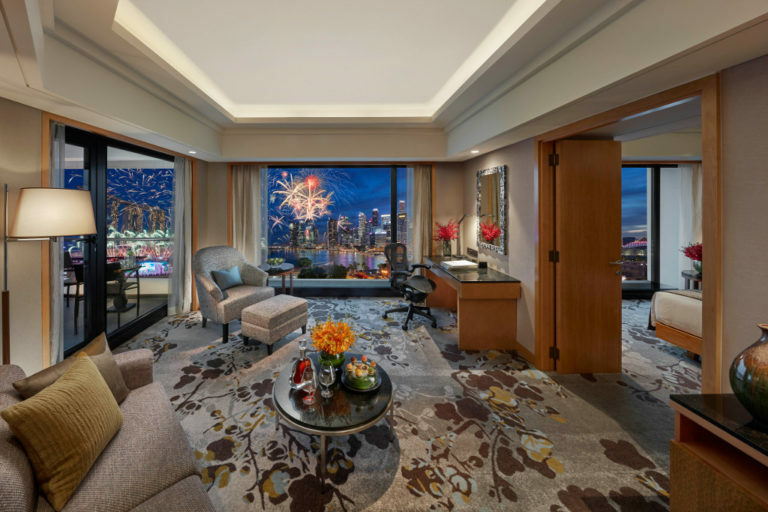 Looking for a panoramic view of the fireworks this National Day? 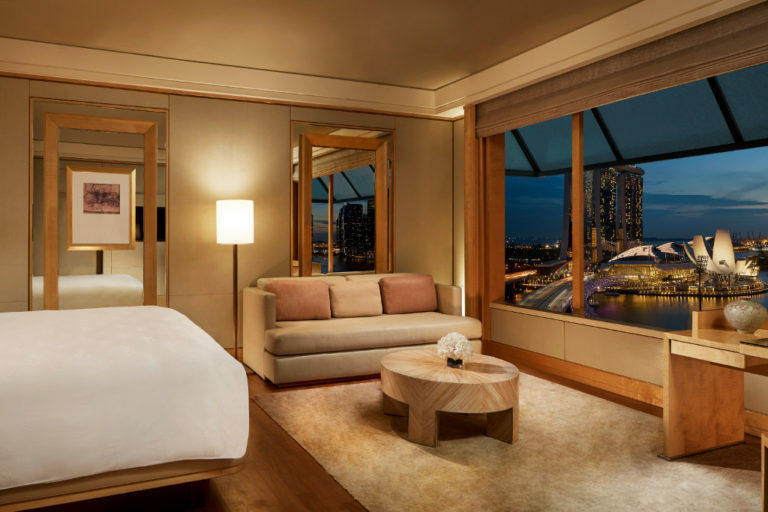 Consider the new Pool Garden Pavilion at Marina Mandarin Singapore. The aroma of barbecue delights straight from the chef’s poolside grill will definitely get those taste buds going. It’s accompanied by a sumptuous international buffet spread. Or indulge in the Singapore Heritage Buffet (from $60++ per adult, from $30++ per child) throughout the month of August. Menu highlights at Aquamarine range from Wagyu Beef Short Rib Satay to Marinated Ayam Buah Keluak Shawarma. 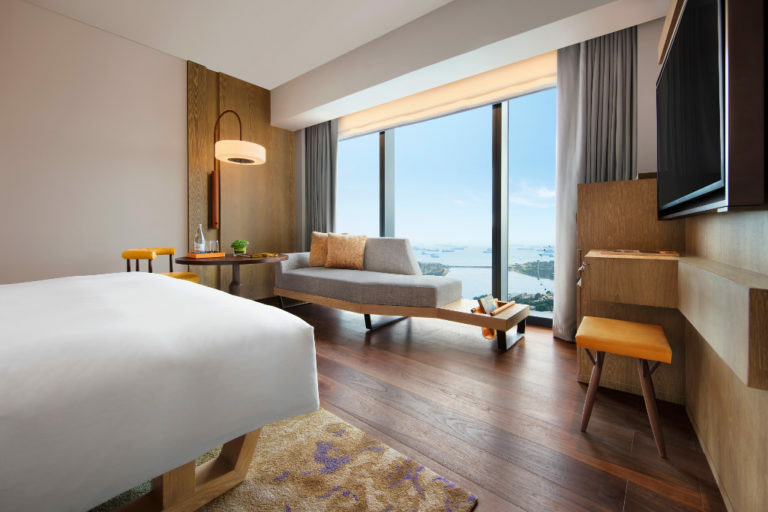 Tuck into a National Day two-course set dinner at SE7ENTH, designed by Executive Chef Dickson Fung in tribute to Singapore’s vibrant food culture. Start with the appetising Curried Pumpkin Soup with sous vide egg and Chinese sausage. 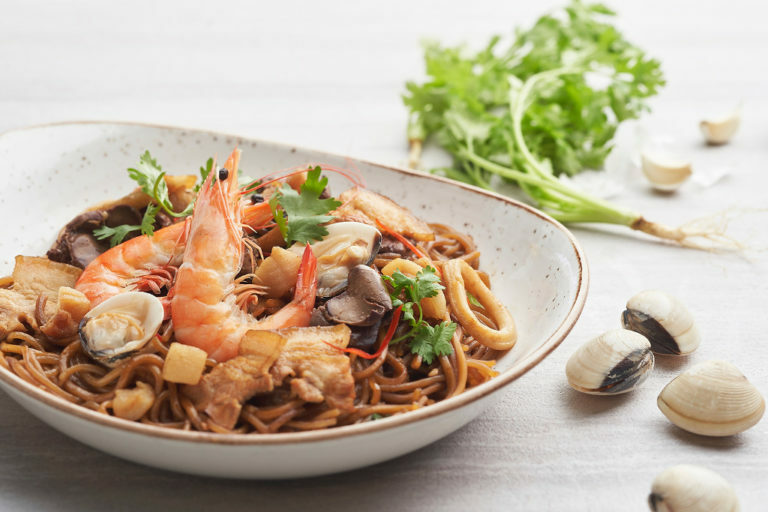 Your choice of mains include Chilli Crab Pasta with homemade chilli crab sauce and fried soft-shell crabs, and the Oakwood ‘SE7ENTH’ Satay Beef Burger, a local twist on the restaurant’s signature item. Alongside this special promotion, The Bar features a one-for-one deal on its take on the Singapore Sling. Homegrown beer brand Tiger Beer will also be going at just $5.30++ per bottle from 9 to 31 August. Open Farm Community invites Singaporeans to celebrate the occasion over reinterpreted local delights. 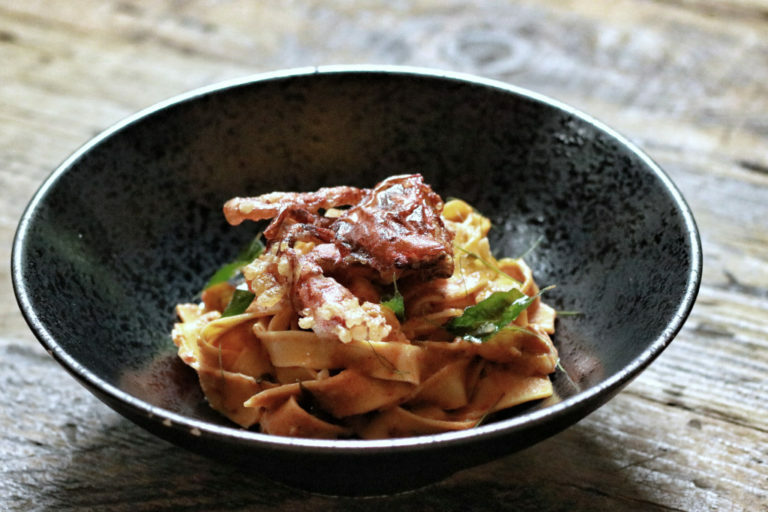 The Southern Malay Laksa given a contemporary twist becomes the appetising Crab and Prawn Laksa Pappardelle. It’s topped with soft-shell crab tempura, prawns, kaffir lime and curry leaves from OFC’s own garden. Vegans and vegetarians can look forward to Black Bean Strozzapreti, with black beans worked into the pasta dough. The earthy dish incorporates local ingredients via mushrooms from Kin Yan, Unicurd organic tofu and sorrel from Edible Garden City. Delight in a diverse and theatrical dining experience at Edge this National Day. 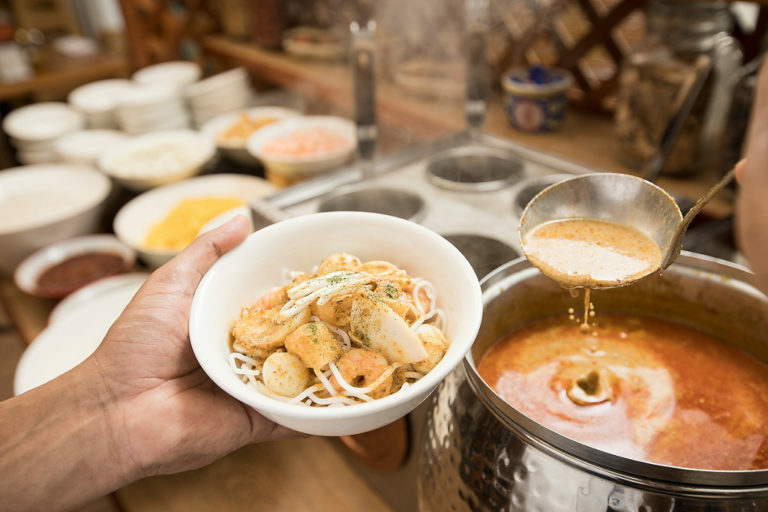 Savour Traditional Kaya Toast, Laksa, Assorted Satay and Fish Head Curry at the Makan Makan Lunch buffet. Or complete the celebration at Edge’s extensive Heritage Dinner buffet showcasing a wide range of local favourites. Highlights include Ban Mian with Sliced Abalone and Fried Silver Fish, Black Pepper Crab and Mini Salted Egg Yolk Croissants. 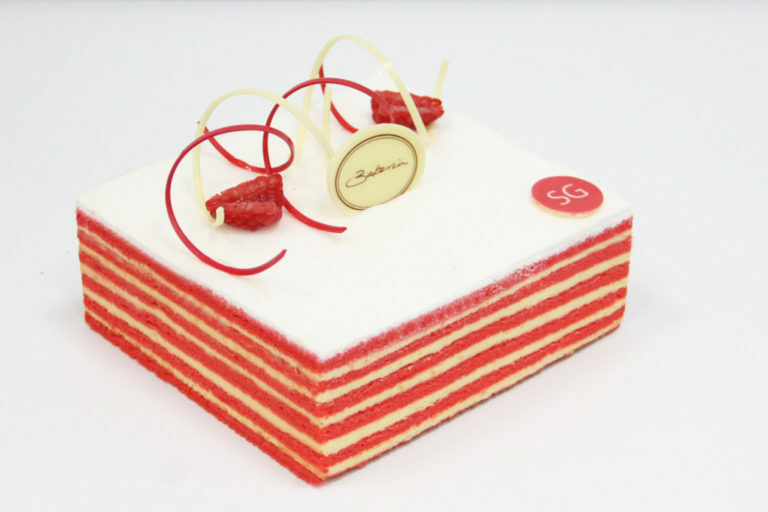 Modern interpretations of traditional desserts range from Durian Gula Melaka Cake to Red Ruby Panna Cotta Verrine. 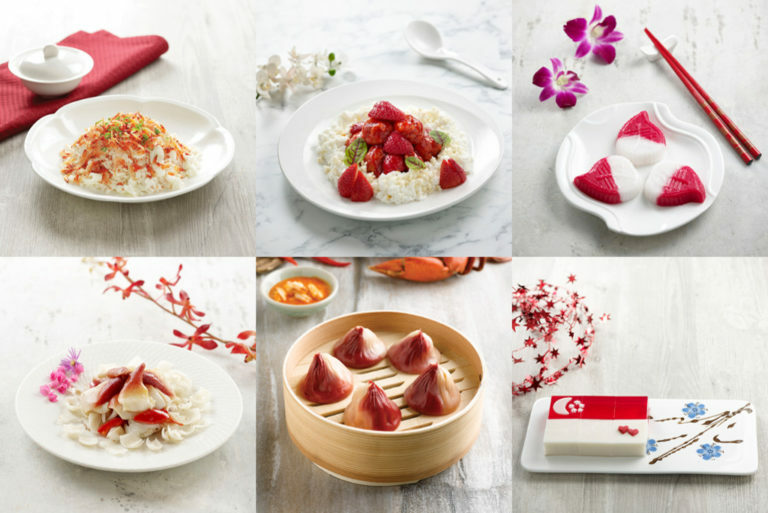 Homegrown Paradise Group is launching specially created red-and-white dishes at its various dining concepts at 53% off this National Day. They range from savoury mains to sweet desserts. Highlights include Egg White Fried Rice Topped with Sakura Shrimp at Canton Paradise, Sweet and Sour Pork and Strawberry Served on Scrambled Egg White and Crispy Rice at Taste Paradise, Teochew-Style Sweet Yam Pastry at Paradise Teochew, Sautéed Hokkaido Surf Clams with Fresh Lily Bulbs at Seafood Paradise, Chilli Crab Xiao Long Bao at Paradise Dynasty, and Coconut and Rose Jelly at Paradise Classic. In partnership with homegrown brand Ah Hua Kelong, PORTA is introducing a two-day-only celebratory menu for our nation’s birthday. The six-course meal combines the best of locally sourced seafood with Executive Chef Alex Phan’s modern European culinary techniques. Tuck into wild catches of XL Lokan Clams, Pearl Grouper with shimeji mushroom, Green Lip Mussel with creamy red curry, and Seabass with spicy shrimp paste. The set meal also includes starters, a dessert of Raspberries Chocolate Salted Caramel and Petit Four, and coffee and tea. 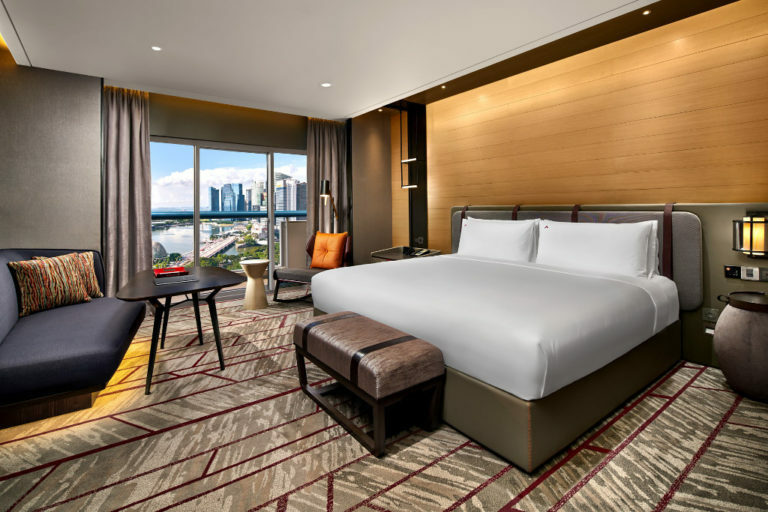 Pre-book now to enjoy up to 20% exclusive savings! 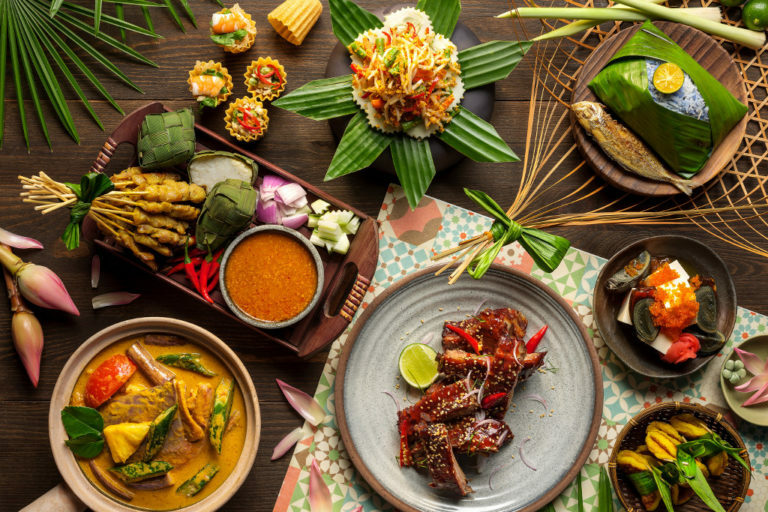 For three days this August, Blue Jasmine’s special buffet menu features dishes Singaporeans hold close to their hearts, while still holding true to its signature Thai classics. Kickstart the meal with Singapore Fruit Rojak before trying the familiar Mango Salad or more adventurous Pomelo Salad. 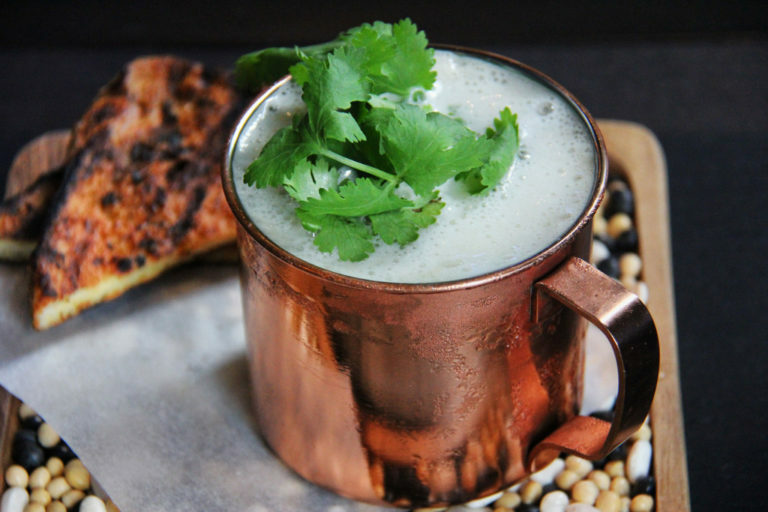 Next, have a warm and comforting Mutton Soup then bite into Chicken Satay or Thai Devil Wings. Also appearing are Traditional Nasi Lemak, Singapore Laksa with Prawn and more. Desserts such as Cheng Teng, Thai Cendol, and Steamed Glutinous Rice with Sliced Mangoes or Durian Cream sweeten the deal. 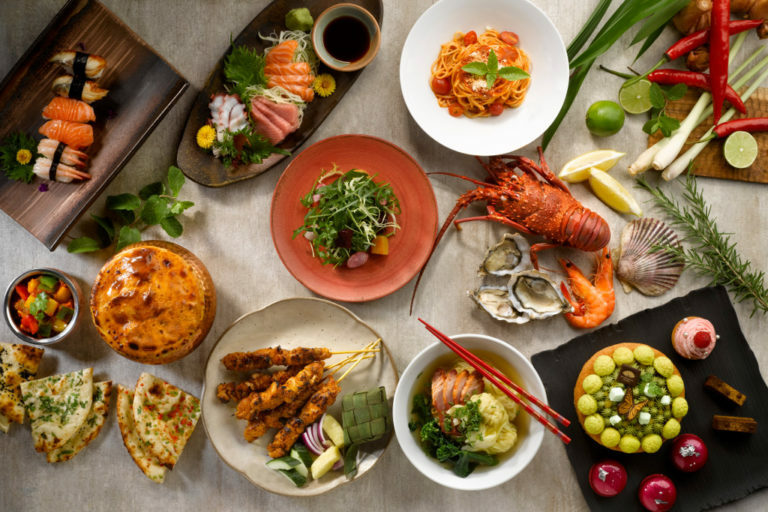 Celebrate over a tantalising spread of Singapore’s favourite crustacean dishes at Ginger this National Day. From the much-loved Chilli Crab and Black Pepper Crab to Salted Egg Yolk Crab, there’s plenty to choose from. For a healthier option, try the Rock Salt Baked Crab, infused with ginger and danggui. 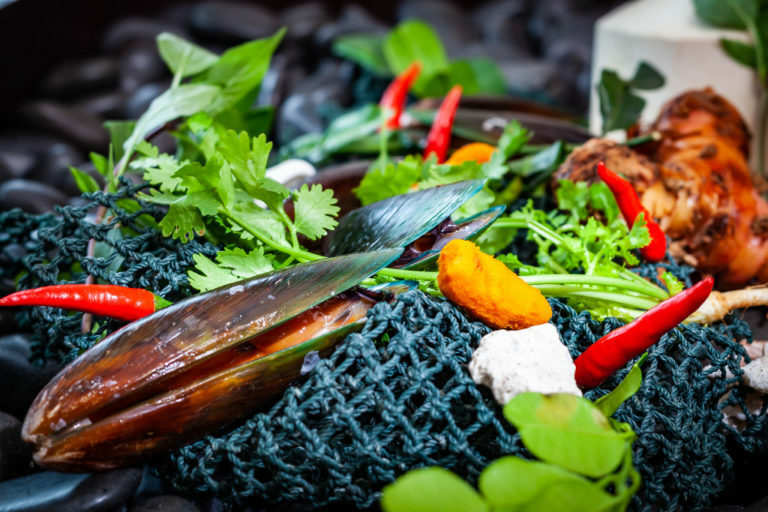 Beyond crabs, go for the Pumpkin Lobster in Claypot, and other seafood offerings at the barbecue live station. These will be accompanied by popular staples such as Oyster Omelette, Bak Kut Teh and assorted Satays. Mark the date with an indulgent dining experience at The Ritz-Carlton, Millenia Singapore. Colony will be presenting the best of Singapore’s heritage cuisines at both lunch and dinner. 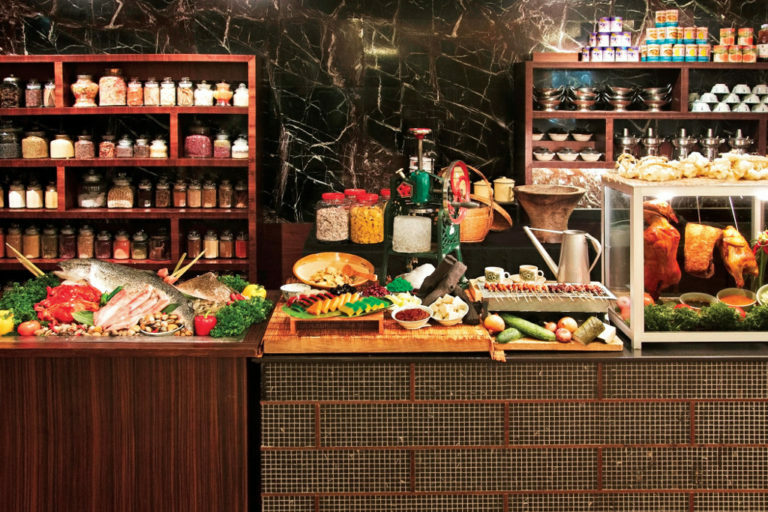 Highlights on the buffet spread include Spicy Dried Shrimp Sambal Sandwich, Nanyang Prawn Noodles Soup, Steamed Lotus Leaf Rice with Abalone and Chinese Sausage, and a la minute Stone-Grilled Kurobuta Pork. Alternatively, delight in afternoon tea buffet ($78++ per adult, $39++ per child) at Chihuly Lounge from 9 to 12 August. The Spot is celebrating its very first National Day with bold, witty twists on hawker favourites. Try Kopiko, an espresso-based concoction topped with honeyed beer foam and served with housemade kaya toast. Gulamerah Sling takes bandung up a notch with gin, Cheery Heering and Cointreau, while Mr. Bean is a soy-milk based cocktail with grass jelly. Accompany these with multiple servings of ‘Orh Luak’ Oyster Omelette featuring a whole French oyster, and White ‘Laksa’ with butter poached Boston lobster. 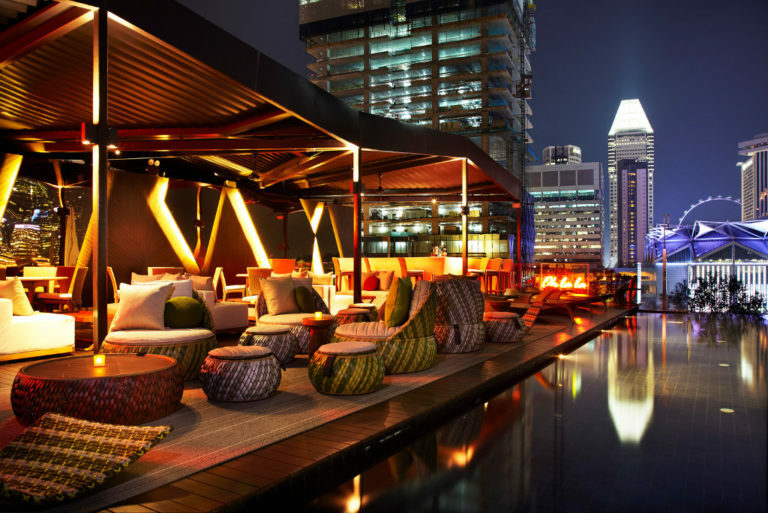 Singapore’s highest dining destination, Stellar, offers unparalleled views of the National Day aerial displays and fireworks. All this while Executive Chef Christopher Millar presents his signature six-course Constellations menu. It features dishes such as Steamed Sea Urchin Custard with Iberico cracker and Sturia vintage caviar. Or opt for the eight-course Chef’s Omakase Experience, which includes a trip to the Stellar Herb Garden and dessert art tableside courtesy of their pastry chefs. Afterwards, diners also receive free access to the lofty 1-Altitude rooftop bar. 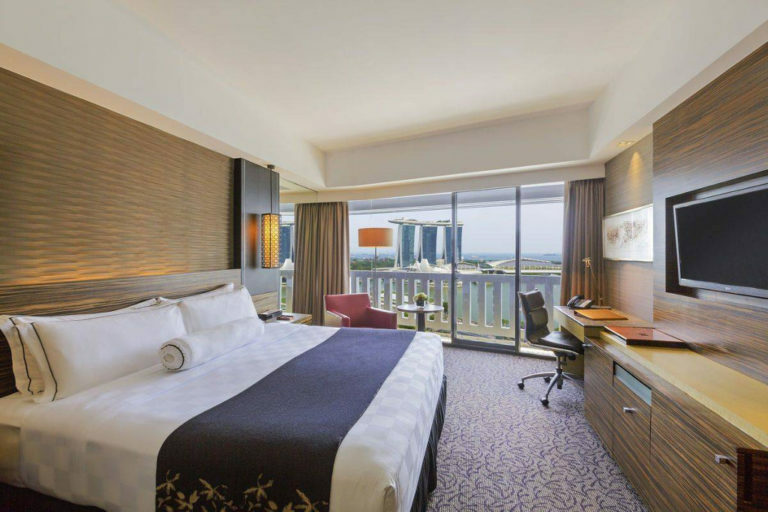 If the family would rather avoid the crowded downtown, take them to W Singapore – Sentosa Cove instead. Take your pick from signature hawker fare – Laksa, Hokkien Mee, Steamed Hainan Chicken – at the kitchen table’s hearty buffet spread. Then select from premium fresh Lobsters and Chilli Crabs in the melting pot of flavours on offer. You dine free if your birthday falls on 9 August, while August babies get 25% off for the whole party. It includes complimentary access to the WET® pool too, so remember to pack those swimsuits! 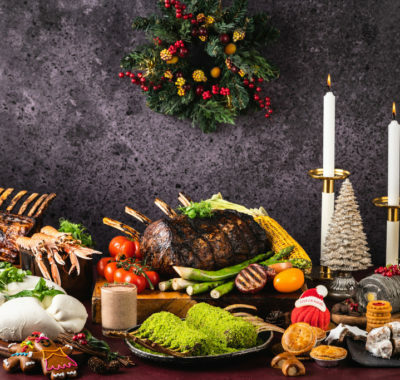 Tuck into a lavish selection of fresh seafood, succulent roasts and delightful desserts with a view at Seasonal Tastes. Apart from the wide selection of international flavours, expect an array of local favourites as well. Usually priced at $98 per adult, the dinner buffet is going at just $53 in celebration of our nation’s birthday. A lunch buffet ($42++ per adult, $21++ per child) is also available on National Day itself. Alternatively, order a Hawker Burger or Singapore-style Fried Bee Hoon at Cook & Brew throughout the month of August and top up just $5.30++ for a pint of draught Tiger beer. Revel in the nation’s 53rd year of independence by partaking in an array of bite-size dishes at Yàn. Designed for sharing, each item melds traditional Cantonese tea-time snacks with Singapore’s well-loved street fare. 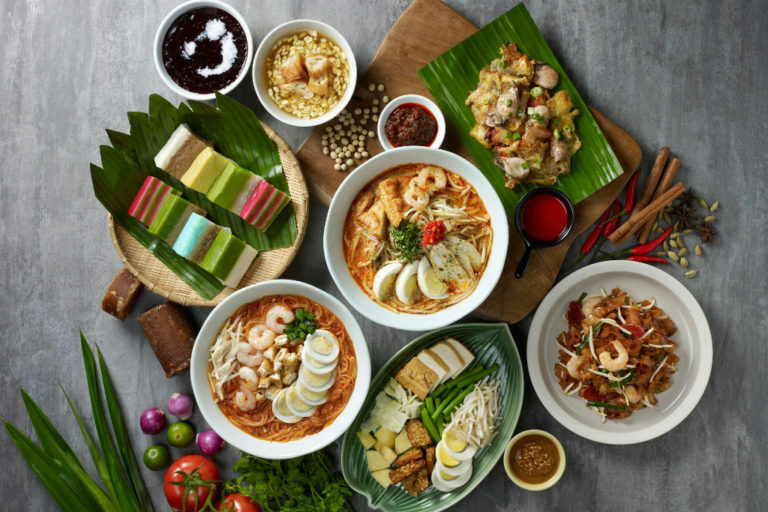 The National Day a la carte Dim Sum menu features Steamed Xiao Long Bao in Laksa Stock, Deep-fried Satay Chicken Wanton, Pan-fried Singapore Chilli Crab Meat Bun, Steamed Hainanese Chicken with Sticky Rice wrapped in Lotus Leaf, and more. 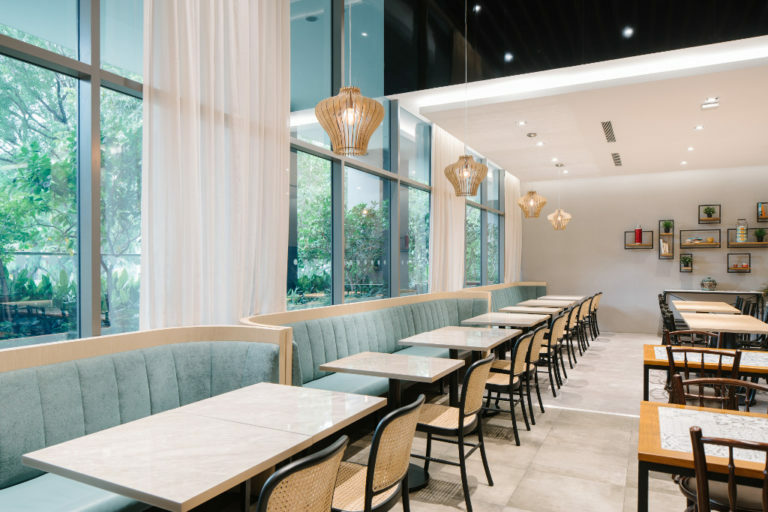 Feast on a medley of Singaporean classics at a pocket-friendly price at York Hotel Singapore’s White Rose Café. 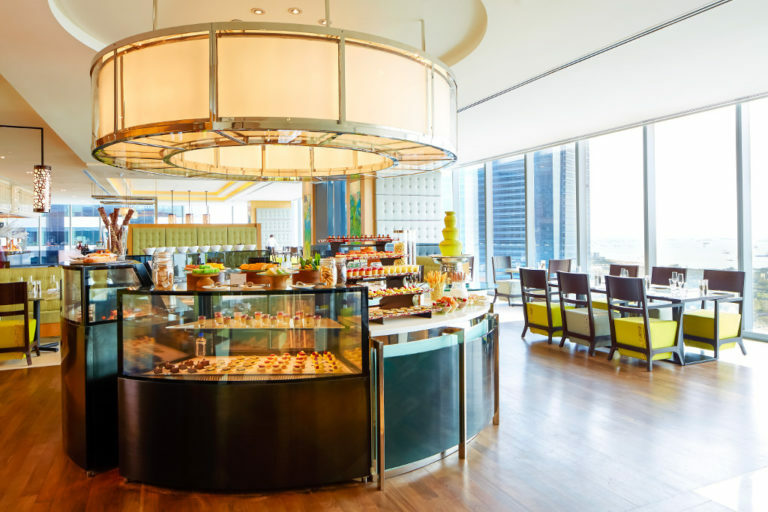 Lunch combined with tea time sees a selection of appetisers, dim sum and local delights. These include Tauhu Goreng, Malay Mee Siam and Singapore Laksa, as well as zichar favourite like Wok-fried Cereal Prawns. Snacks include Ku Chye Kueh, Putu Mayam, Popiah and Rojak. Desserts include Pulut Hitam, Tau Suan, Nonya Kuehs, along with free-flow Bandung, Lime Juice and Soya Bean Milk. One dines free with every three paying adults for DBS/POSB, Maybank and UOB cardholders. 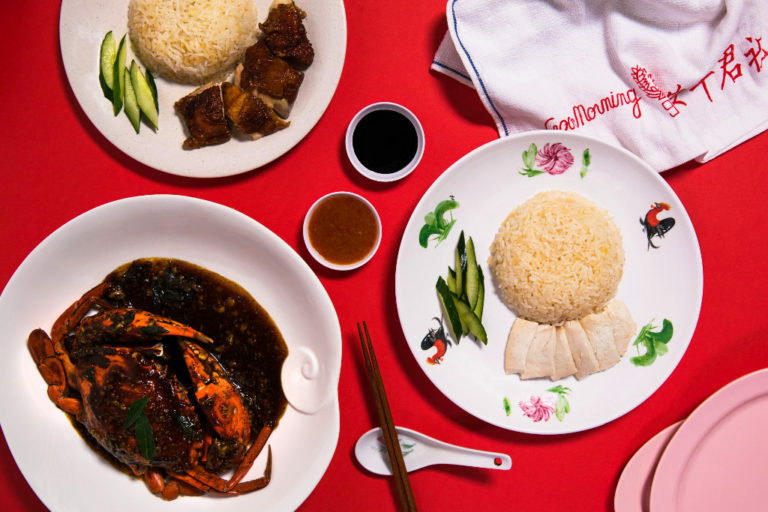 Food delivery service Deliveroo will be delivering Singaporean’s favourite fare at knockdown prices this National Day. 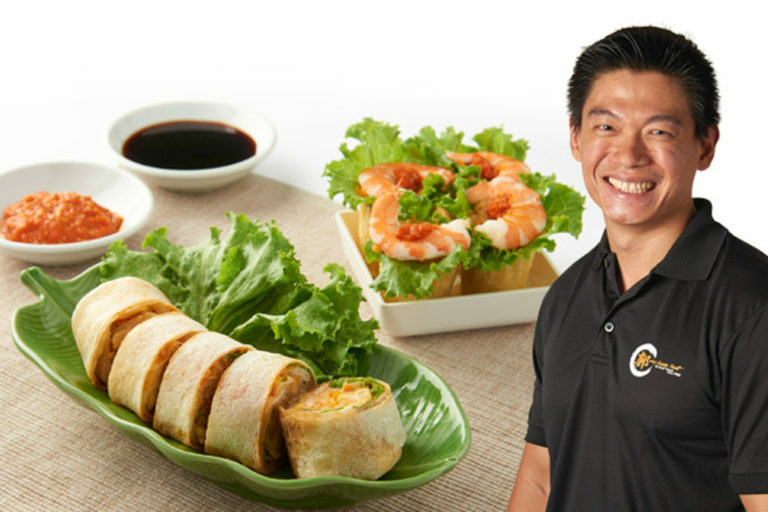 Promotions going at just $5.30 include Sushi Tei’s Nasi Lemak Roll and two Prawn Popiah rolls from Qi Ji. Or order Claypot Chicken and Mushroom Rice from A-One Claypot House or Soup Restaurant’s Signature Samsui Ginger Chicken (Half) at a discount of $5.30 each. Two Facebook Food Battles will also decide more dishes to be added to the list. 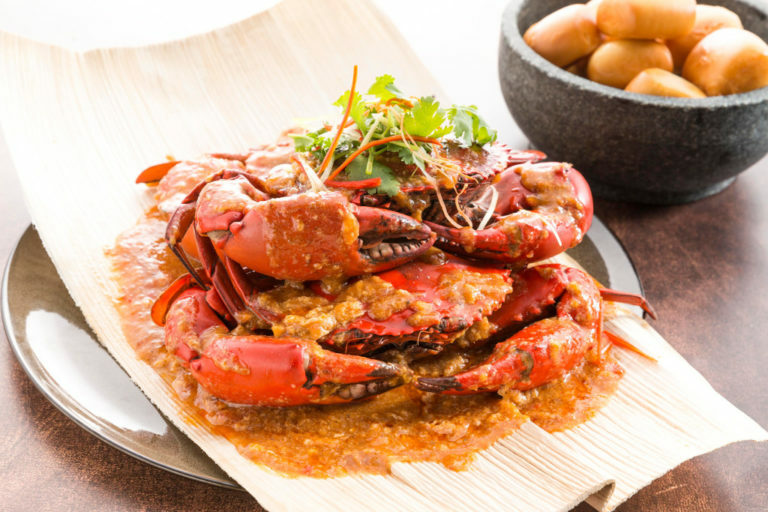 Do you prefer Ming Kitchen’s Signature Chilli Crab or Black Pepper Crab to go at two crabs for $53? 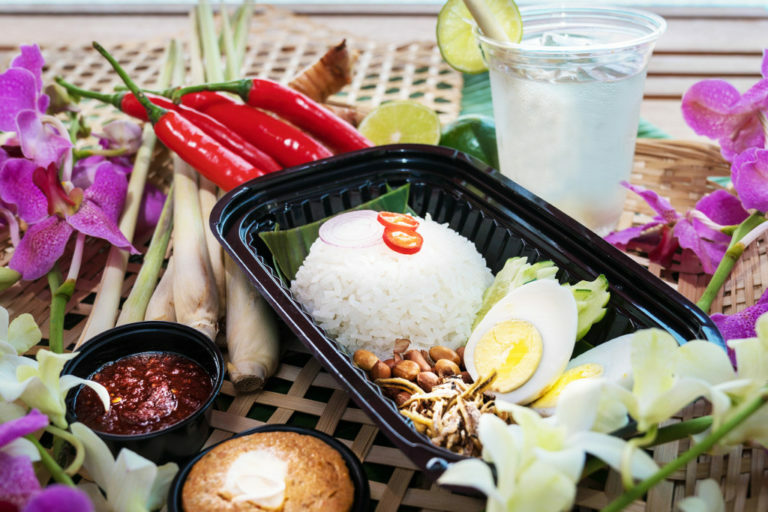 Then pick between Steamed Chicken Rice and Roasted Chicken Rice from Boon Tong Kee to go at just $5.30. Click here to cast your vote on 20-22 July and 3-5 August respectively. Available from 23 July to 12 August via Deliveroo. To order, click here. 41. 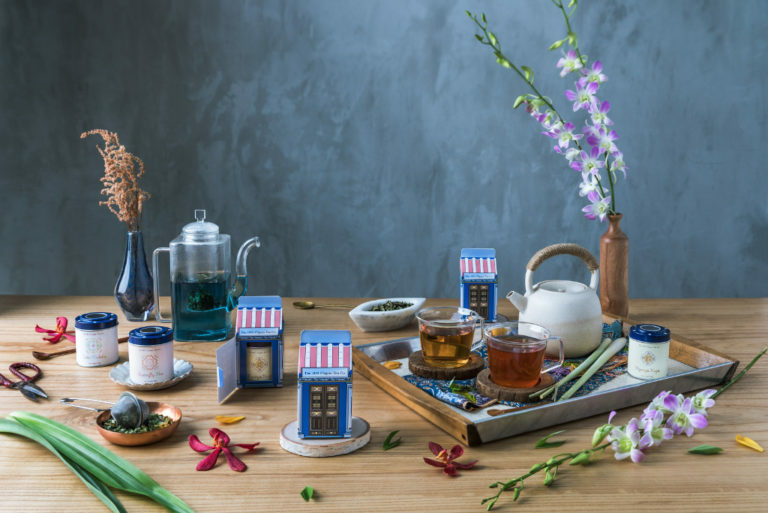 A Peranakan Medley – The 1872 Clipper Tea Co.